The puns just never end over on The Hub. A pet psychic akin to John Edward (who got lampooned on South Park) comes to the shop and does a reading on the pets, getting them completely wrong: Minka is very zen, Russel is sloppy, Vinnie is intelligent, etc. The pets then go through with the readings as not to disappoint Mrs. Twombly. Blythe doesn’t think this is right and goes to investigate. The psychic has a pet sugar glider who stays all the time in her purse. Sweetcheeks is very unhappy with this and would much rather be treated like a normal pet, so Blythe takes him to the park. There she sees a pet food truck outside the shop which drops off a ton of food. It’s the same kind that the psychic tells customers that all the pets want. Blythe is the only one who sees the issue here. She disguises herself and tries to have the psychic do a reading on Sweetcheeks, but she gets him totally wrong and doesn’t even know his name. 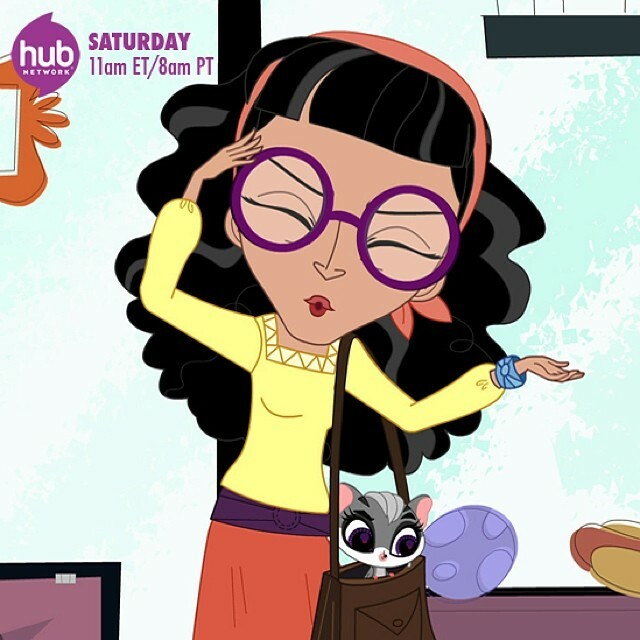 Blythe reveals herself and exposes the psychic as a member of the pet food company. The psychic then learns that she needs to actually listen to her pet. The plot is super readable in this one. LPS seems to really be fond of using basic cartoon tropes, which works well for little kids but not as much for older viewers. The most enjoyable part was Mrs. Twombly imagining the pets. Their voices were totally different (except Vinnie’s); I’m not sure if the VAs were the same , but the range is quite impressive. Sweetcheeks is also really adorable.